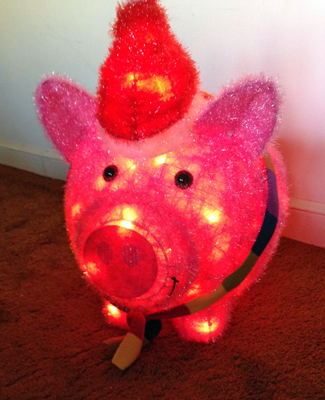 This entry was posted in holiday and tagged Christmas decorations, holiday decorations, lawn decorations, tinsel pig by crunchymetromom. Bookmark the permalink. Just hope you didn’t I am on a credit card.